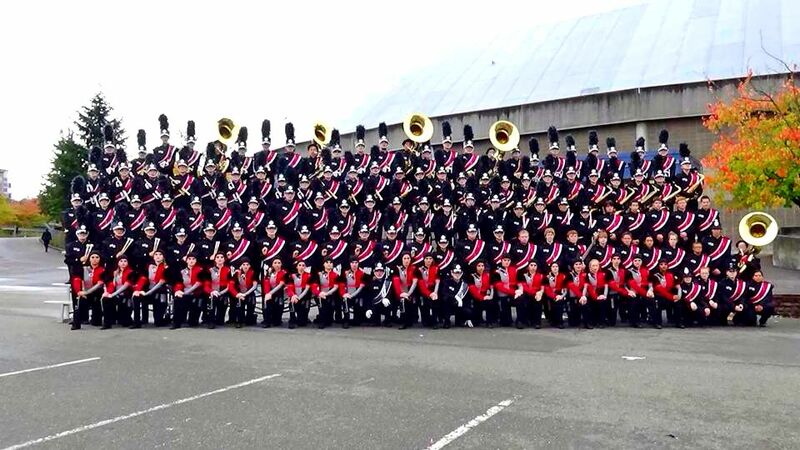 Having recently re-booted the Marching Band program at Cle Elum – Roslyn High School, the “Warrior” Band is very excited to be back for their second year at the Harvest Festival of Bands. Cle Elum – Roslyn’s 2015 program is based on the pop hit “Happy” by Pharrell Williams, and the one-hit-wonder “Gangnam Style” by PSY. Feel happy to clap along and dance as the Cle Elum – Roslyn “Warrior” Marching Band performs their fun 2015 Program: “Happy Style”. GENERAL INFO: Highland HS is a class 1A high school just west of Yakima. Their enrollment is 310 students grade 9-12. The Scottie's receive numerous awards from around the state. This Spring they will be performing on the aircraft carrier USS Hornet in San Francisco. Join Mr. Willy Wonka as he takes Veruca Salt, Augustus Gloop, Mike Teevee, Violet Beauregarde, and Charlie Bucket through his chocolate factory. So if you've got your Golden Ticket follow the Candy Man as the Highland Scottie Band takes you to a world of Pure Imagination. Best Percussion, GE, Winds, Visual, and Auxiliary. Best Percussion, Winds, Drum Major, and Auxiliary. Moscow High School Band is pleased to perform musical selections from Disney's "The Lion King," including "Nant's Ingonya," "Grasslands Chant," "Be Prepared," "He Lives in You," and "Circle of Life." Music arranged by Joel Pals, Drill writing by Robert Gibson II, Choreography by Becky Bowles & Kiani Canales. Today's performance marks our first ever marching band festival! 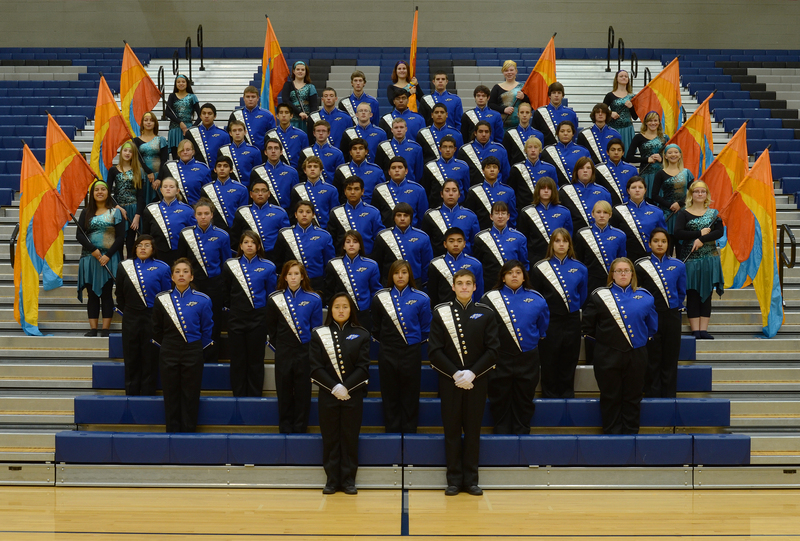 The West Valley High School Bands consistently receive high ratings at festivals and competitions throughout the Pacific Northwest. SECTION LEADERS: Logan Pitcher, Austin Everett, Blaze Dugger, Zach Campbell-Ball, Austin Trail and Josiah Bruns. Color Guard captains are Bella Graves and Sabrina Moore. STAFF: Color Guard instructor is Stephanie McCracken, Percussion Instructor is Jeremy Quinn and Pit Assistant is Cameron Lays. SHOW DESCRIPTION: This season’s show is the gymnastics and human circus performance called La Nouba, one of the Cirque du Soleil shows. La Nouba is a dramatic mix of circus arts and street entertainment. AWARDS, HONORS, GENERAL INFORMATION: The band is called The Pride of Clarkston Marching Band and is a consistent performer at many northwest competitions. We are proud to represent the Clarkston valley and thank you for your enthusiastic support at today’s performance. Show Description: The Cedarcrest High School Marching Band is proud to present their 2015 production "Memoirs of a Secret Empire". Memoirs of a Secret Empire brings to life the unknown story a mysterious empire, commanding shoguns fierce samurai warriors, and exquisite artisans caught in land of peace and chaos, all the while hidden from the Western Work for nearly 250 years. “Carol of the Bells”, “Winter” Vivaldi, “Russian Christmas Music” Alfred Reed. DESCRIPTION: The Pasco High School Marching Band and Colorguard is proud to present their 2015 production, “In Winter”. Edgar Allen Poe wrote; “Hear the sledges with the bells, what a world of merriment their melody foretells! In the icy air of night, with a crystalline delight. Bells, bells, bells.” Join us as we paint a picture of beautiful winter landscapes and hear bells throughout this magical season in “Carol of the Bells”. Watch as snow falls rhythmically to Vivaldi’s “Winter”, and listen as the cathedral church bells sound throughout “Russian Christmas Music”. Introspection. Observation or examination of one's own mental and emotional state, mental processes, etc. ; the act of looking within oneself. While in the act of trying to find inner peace, one can go through many emotional stages. Self doubt. Hysteria. Reflection. And even Regret. Sometimes your thoughts can overwhelm you and throw you into a panic. While the goal in life is to find your true identity, it is often difficult and sometimes treacherous to do so. Often it only takes a single thought to change one’s life forever. The myth of Pandora’s box is considered one of the most descriptive myths of human behavior in Greek mythology. The myth serves to address the question of why evil exists in the world - all the while reminding us that it was our own weakness that released the hardships that plague humanity. Pandora was given the gifts of beauty, femininity, and industriousness. But she was also deceitful, stubborn and curious. It was ultimately her curiosity, not maliciousness that proved her undoing and in the end she could no longer refrain from opening the box and released the illnesses and suffering that the gods had hidden in the box. As the evil spirts escaped, Pandora desperately tried to close the box – tragically capturing Hope inside. At Chiawana High School we are proud to offer a comprehensive music program that focuses on balance and success in all areas of music education. Whether you are on the marching field, a concert hall, or music festivals throughout the Northwest, Chiawana students represent their school and community with the utmost of pride, commitment, and achievement. The Chiawana Wind Ensemble has been featured at the National Concert Band Festival, the Northwest Regional Music Educators Conference, and the Washington State Music Educators Conference. Percy’s Midnight Ride tells a story that begins the hijacking of a London Underground train back in 1972. The blue train raced along the tracks for almost four hours through the middle of the night with many frightened passengers. As it sped by numerous stations without stopping, witnesses reported the Engineer’s car to be empty. When the train finally came to a stop, the Engineer, Percy Wilshire, was missing. Nobody ever knew what role he played in the hijacking as they never heard from him again. The story eventually faded into London folklore, until 20 years later when the same blue line raced off into the night. Passengers screamed as they wondered what was happening. Some older adults began to recall the story of hijacking from their youth and knew that this must be the Ghost of Percy and his Midnight Ride. The Mt. Spokane Marching Band and Dance Team were the 2013 Grand Sweepstakes Award Winner at Cavalcade of Bands. The Band and Dance Team would like the thank the Mt. Spokane Bandstand and our parent volunteers for all of their support in ensuring all of performers have a world class experience. The Band & Dance Team would also like the thank Mt. Spokane High School, the Mead School District, and the Mead School District Community for their support of the arts in our schools. The 2015 Mt. Spokane Marching Band & Dance Team will bring the sounds of the wonderful winter season to life through vivid color, dynamic music, and pageantry. The duty of a knight is to learn to fight and serveth their liege lord according to the code of chivalry. A knight shouldst be brave and fearless but also devout, loyal, courteous and generous. To gaineth knighthood is a long and arduous task, not simply bestow'd purely because a man is a son of a gentle. Our brave knight learns the code of chivalry, falls in love with a beautiful maiden, and embarketh in a crusade to establish his kingdom. Deus vult! The Hanford High School Instrumental Music Program provides an exceptional and well-rounded music education program which strives for excellence in all areas and facets of music. The school provides three levels of concert band, five jazz ensembles, two orchestras, percussion class as well as regular extra-curricular activities such as musical pit orchestra, pep band, marching band, and winter percussion. Past Marching Band Awards include placements in the top 4 and numerous caption awards at most regional marching band competitions including: Cavalcade of Bands, Pacific Northwest Marching Band Championships, Puget Sound Festival of Band, the Bands of America Northwest, and the Harvest Marching Band Festival. 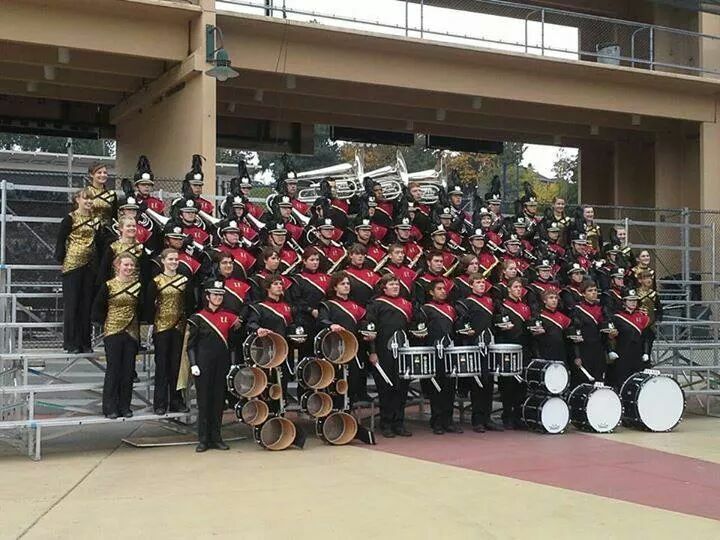 The band has been the sweepstakes winner twice at the Harvest Marching Band Festival. In 2012, the marching band was a finalist and the AA winner at the Bands of America Western Regional in St. George, UT. Flight 19 was the designation of five TBM Avenger torpedo bombers that disappeared over the Bermuda Triangle on December 5, 1945 during a United States Navy overwater navigation training flight from Naval Air Station Fort Lauderdale, Florida. All 14 airmen on the flight were lost, as were all 13 crew members of a PBM Mariner flying boat assumed by professional investigators to have exploded in mid-air while searching for the flight. Navy investigators could not determine the cause of the loss of Flight 19 but said the airmen may have become disoriented and ditched in rough seas after running out of fuel.